Boyd Cohen continue his four-part regional series with a focus on the Asia Pacific region. Asia Pacific is a region with unique challenges and opportunities in the smart cities arena. All smart cities on this list are on the journey towards being smarter, but none of them have arrived. The methodology applied for all regions is the same. 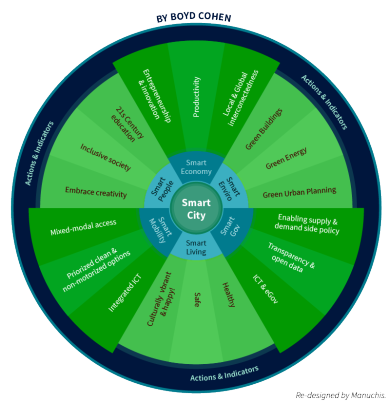 Using the Smart Cities Wheel, a framework that Cohen created to help quantify smart cities, he identifies publicly available datasets for each of the six components and then supplement the analysis with primary data sourced directly from the cities themselves using 28 indicators. I think no city mentioned could be classified as smart cities. The smart city solution for the unsustainable global urbanization is being held back by misunderstanding of what it really is and what the components and socio-economic benefits of a smart city actually are. For example, the concept of Smart City is widely misunderstood as based on networked technologies, information systems or business analytics, embracing transportation, healthcare, public security, etc. 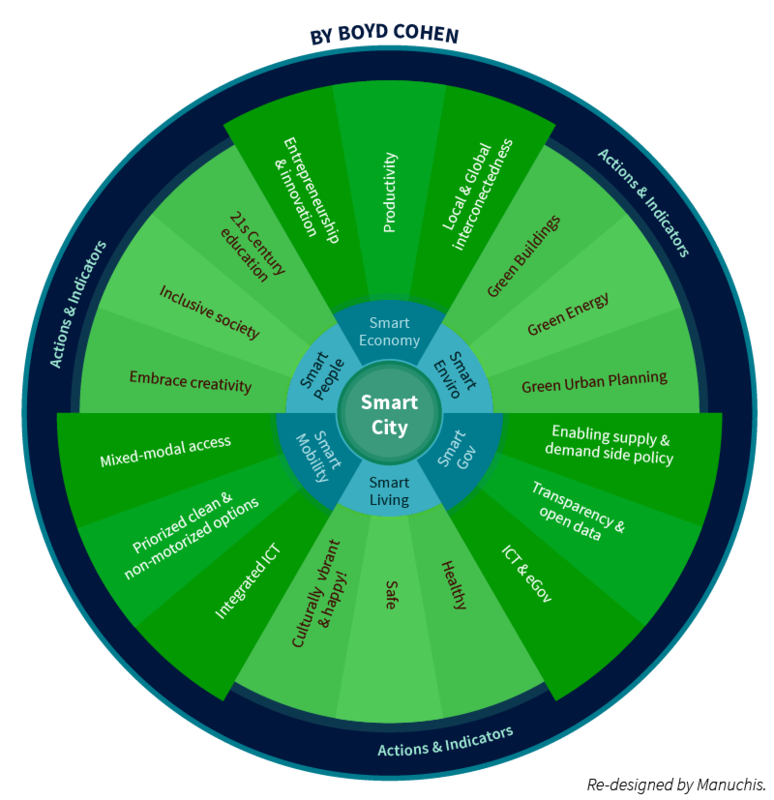 In all, a Smart City is generally viewed by academic and commercial worlds as a fragmented Smart Economy, Smart People, Smart Governance, Smart Mobility, Smart Environment, or Smart Living or as an assortment and a mixed bag of thereof (as the Smart City Wheel). Presently, there is strong appeal for setting a comprehensive conception, agenda, strategy, vision, and implementation plan for future cities, as well as legacy cities to be transformed into safe, green and more liveable urban areas. The fully sustainable community is to merge the Cyber/Digital, Natural/Ecological, and Social/Intelligent Spaces. Be it a large metropolitan area, municipal district, small township or local community, in truly sustainable communities, economic, social, political, cultural, technological and ecological issues are closely integrated and advanced.